Capturing an early lead is an ideal start for any sports team, but it can be easy for players to become too comfortable and let things slip. On Friday night, Cal lacrosse fell victim to this philosophy and came up short to Fresno State, 14-13, in a match determined in the last seconds. 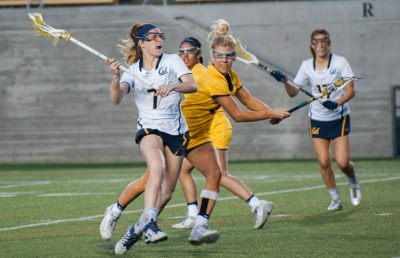 Cal cruised a good deal of the first half with a substantial lead and went into the locker room ahead, 7-4. But Fresno State began the second half with a vengeance, going on a 7-1 run to take an 11-8 lead. 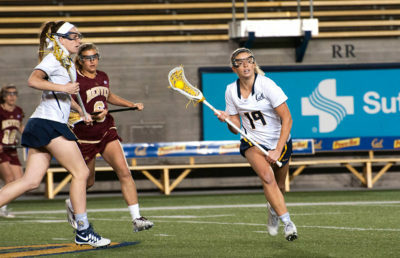 Cal head coach Brooke Eubanks called a timeout to discuss how to stop the Bulldogs’ onslaught. Coming out of the break, Cal’s offense turned up its aggression. Junior attacker Caroline Corzel scored her third goal of the day on an assist from freshman attacker Nikki Zaccaro to start the Bears’ run. Zaccaro has been showing out recently — she produced three assists this game and her performance as a freshman bodes well for the program’s future. 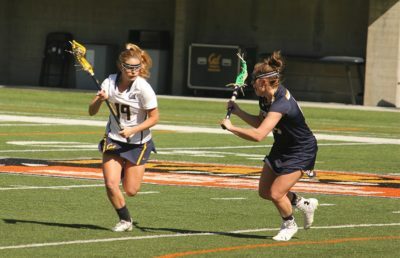 Yet, Cal’s attack took a critical misstep on the ensuing possession when Fresno State’s sophomore Ryleigh Bone knocked the ball out of Cal senior defender Meredith Haggerty’s stick from behind. The Bulldogs’ resulting fast-break goal put them up, 13-9. The teams traded goals, and the Bears had to face a four-goal deficit with only 6:20 remaining. While Fresno State celebrated, Cal braced to absorb the blow of falling behind by four goals in a game that they had under control initially. Senior attacker Parker Garrett and Swanson each scored goals, split by a critical Haggerty draw control. With the score at 14-12 and 3:24 remaining, sophomore goalkeeper Makayla Ward made a crucial save to stop a Fresno State free position shot. After making the stop, Ward heaved a long outlet pass forward into the hands of Swanson, who cut through two defenders at the restraining line. The redshirt sophomore sprinted toward the goalie and whipped a shot into the back of the net, willing Cal back to within one point with 3:07 remaining. Zaccaro grabbed the next draw, but the Bulldogs’ defense stepped up and forced a shot clock violation on the Bears. 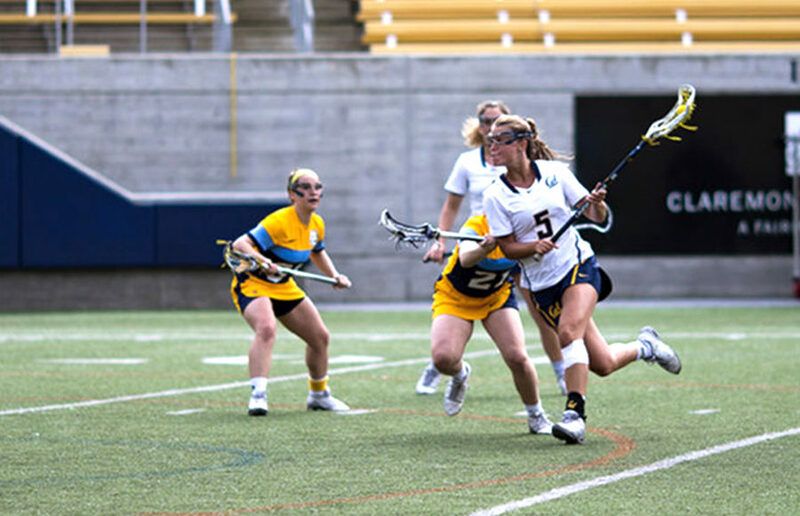 Cal took back possession thanks to redshirt senior defender Elizabeth Koehler’s ground ball pickup, but it was too little, too late. With only seven seconds remaining, Cal needed a miracle that it did not get. Fresno State intercepted a Hail Mary pass down the field and erupted into celebration as the final seconds expired. Armen Aprahamian covers lacrosse. Contact him at [email protected]. Follow him on Twitter @armnhammer_.